Spring is a great time to check your mature trees. Leaf canopies have not completely filled in, and you can see the structure of the tree more clearly. Damage from winter storms will be more apparent. By inspecting trees and addressing potential problems, you can protect your home, save lives, and safeguard the investment that healthy trees add to your property. Use this checklist to identify possible hazards in tree growth and development. Look for broken or dangling branches or cracks where branches attach to the trunk. 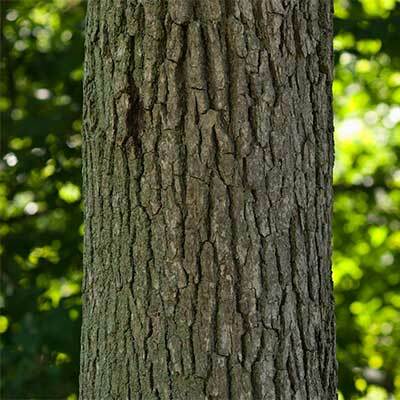 Branches that are missing bark or growing fungus can be signs of decaying wood and potential structural problems. Narrow angles at the point where branches attach to the trunk can be weak and prone to breaking; this is especially common with elm and maple trees. 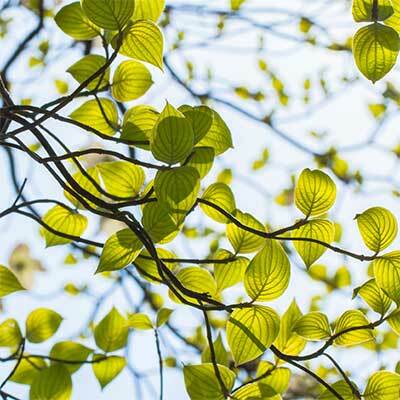 As spring progresses, the tree should leaf out evenly with healthy looking foliage. Uneven coloring or slow growth in portions of the tree may be signs of problems. Most mature trees need little fertilizer, but specific nutrient deficiencies indicated by poor or uneven foliage color may need to be corrected. You should also check leaves for signs of insect damage. Fungus or mushroom growth on large anchoring roots, along the base of the trunk, or on soil near the tree can indicate decay. 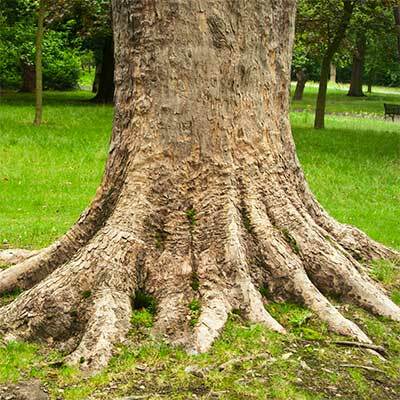 Cavities or hollows near the base of the tree or in large roots can also be a sign of trouble. Cracked or raised soil on one side of a tree trunk could indicate the start of leaning and weakness. New construction and soil compaction can also damage roots. Look for cracks or cavities, oozing wounds, or sunken or missing bark. Mushrooms or fungal growth can also be a sign of decay and structural weakness. Any of these symptoms can diminish a tree’s stability. The exterior of a tree may appear fine except for a small crack, cavity, or fungus while the interior may be rotted, soft, or even empty. 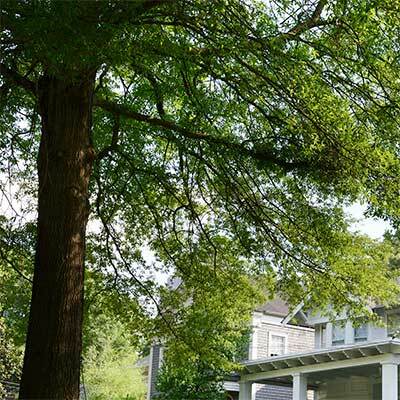 If you notice one or more of these problems, consult with a certified arborist. Information provided April 2016, courtesy of the Bayer Advanced Healthy Trees for Life initiative. Bayer®, the Bayer Cross® and Bayer Advanced™ are trademarks of Bayer.